A convenient essential for your kitchen, the DeLonghi Primadonna Elite Experience Coffee Machine offers a multibeverage function and a MixCarafe, letting you make a variety of delicious beverages. 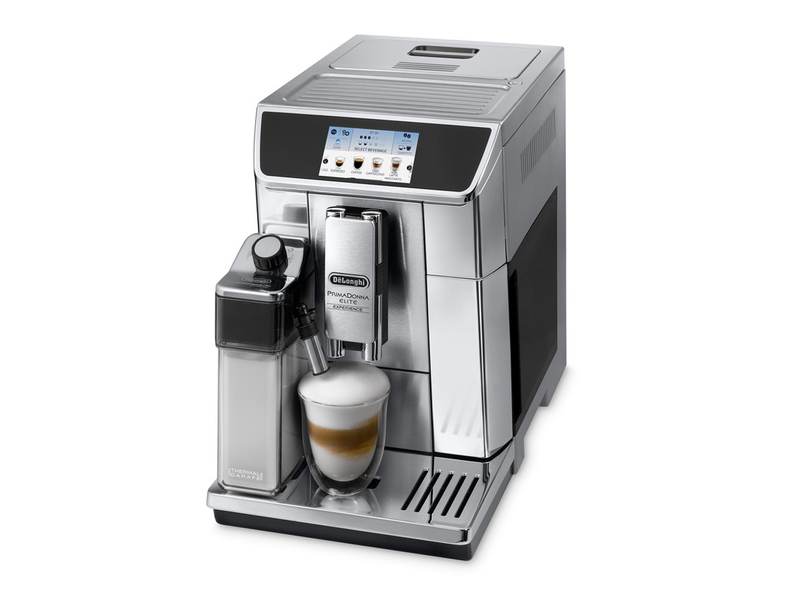 Thanks to its Multibeverage function, the DeLonghi Primadonna Elite Experience Coffee Machine allows you to conveniently prepare various beverages such as hot chocolate, tea, coffee, and more. The Primadonna Elite coffee machine offers one touch recipes, making it easier for you to prepare tea or coffee at the ideal water temperature with a simple touch of a button. The DeLonghi ECAM65085MS Coffee Maker was added to the Coffee Makers category in December 2017. The lowest price GetPrice has found for the DeLonghi ECAM65085MS Coffee Maker in Australia is $1,999.00 from think of us. Other merchants who stock it are think of us, David Jones .